Our own home cafe serving light gourmet food and barista prepared coffee. All erected and headed by Ned Al Nazzy, he brings you skilled made gourmet sandwiches and freshly brewed coffee that will defy any pro barista. 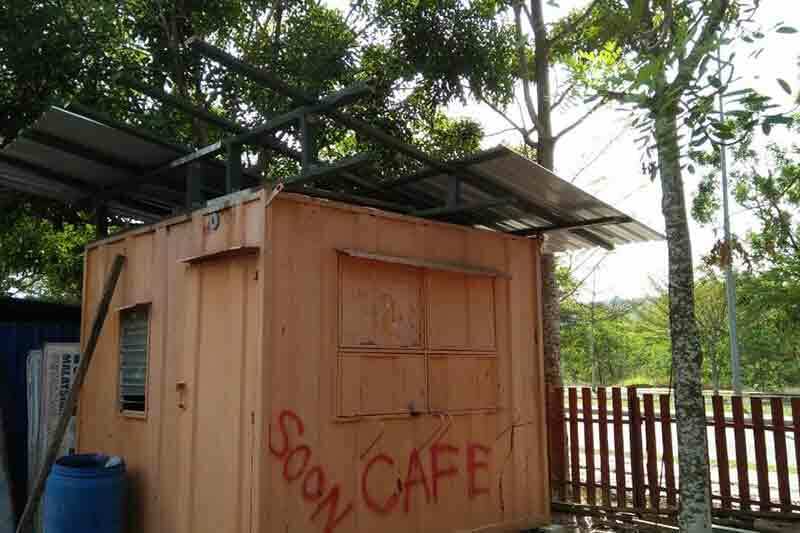 The cafe is due to complete soon in year 2020, yep same time as the Mahathir prediction. For more info on the progress and what will be menu, call the man Ned Nazzy 017 9346233. Situated in Cahaya SPK, Shah Alam (near Bukit Jelutong). MTZ has paintball fields and Xtreme electric bike rides. Paintball fields: speedball, cowboy town, Vietnam hill battle ground and Fox Hole valley. Cahaya SPK club house is situated next door and our patrons can use its facilities for a nominal fee (swimming pool, tennis, squash and badminton courts). Cahaya SPK, Shah Alam, 40150.